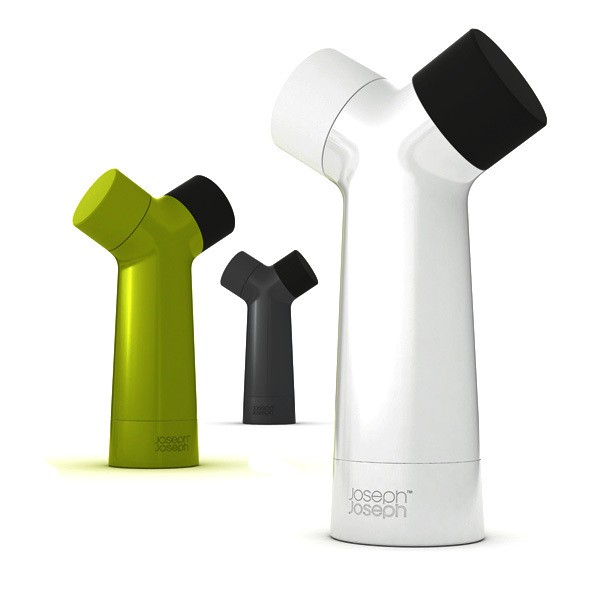 Collection of Creative and Cool Pepper Grinders/Mills from all over the world. 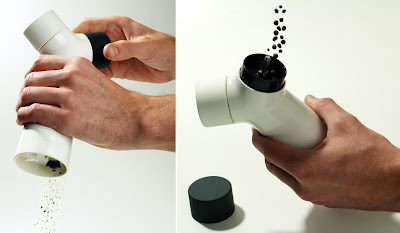 Pepper Mill- Product Tank: This pepper mill is a lot easier to refill as the lid works like a funnel. 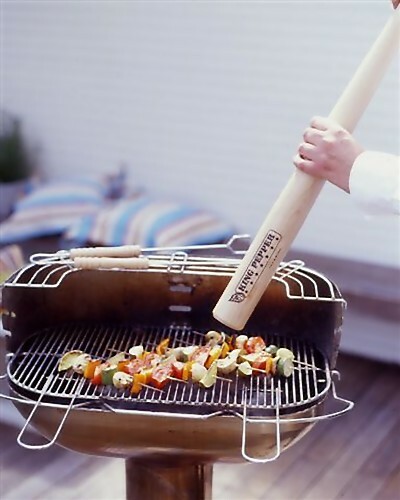 Baseball Bat Pepper Mill: Made from natural wood, this pepper grinder resembles a full-scale real baseball bat. 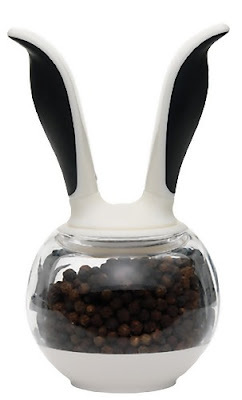 Peppermeister Pepper Grinder: This unique pepper grinder features a stainless steel grinding mechanism. 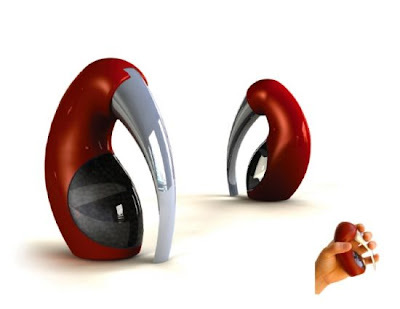 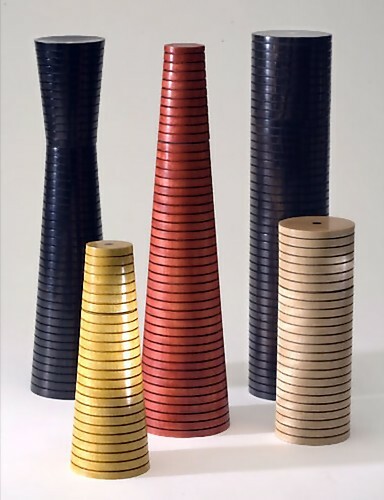 Y-Grinder: The working parts of this grinder are made from ceramic while the outer casing is made from polished acrylic. Moai Pepper Grinder: This electric pepper mill is shaped like one of the Moai stone statues. 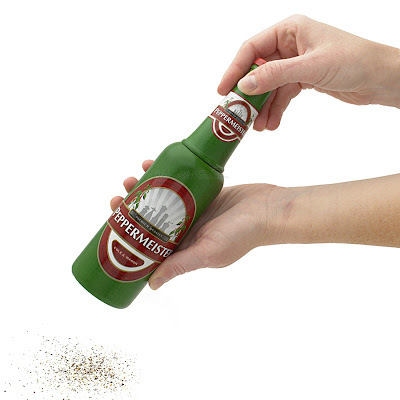 Vogel Pepper Grinder: This cool grinder grinds comfortably in any sized palm. 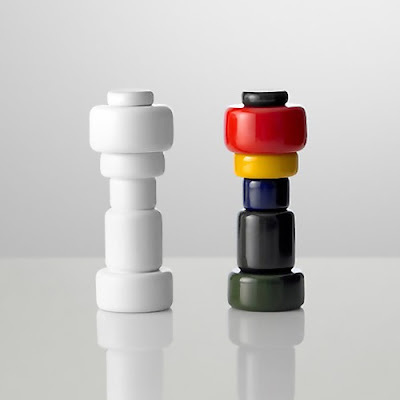 Cube Pepper Mill: Each of these cubes is built around a high-quality ceramic grinding mill and the top layer of the cube rotates. 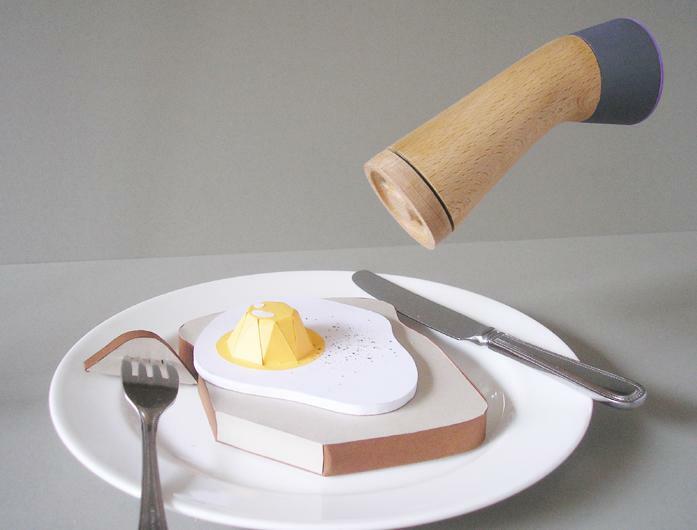 Urban Pepper Grinders from Jabou Design: These peppermills are handmade from dried wood (1-3 years) and comes with advanced Danish ceramic grind mechanisms. 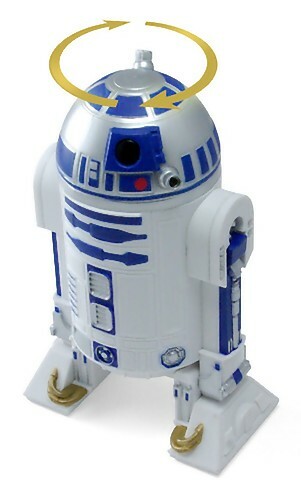 Plus Salt and Pepper Mills by Norway Says: These are made from lacquered-beech and have a ceramic mechanism. Chef'n Dual Grinder: "The clever design of this mill has both salt and pepper in separate chambers for convenient seasoning while cooking." 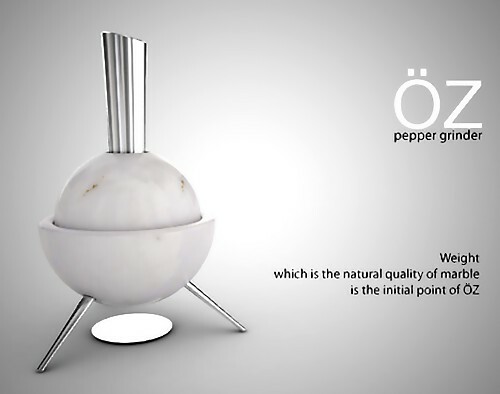 Öz Pepper Grinder: It's composed of Turkish marble, designed by A Bektes & Koray Gelmez. Wood Pepper Grinders: If you are looking for something more organic-looking, then these reclaimed wood pepper grinders are for you. 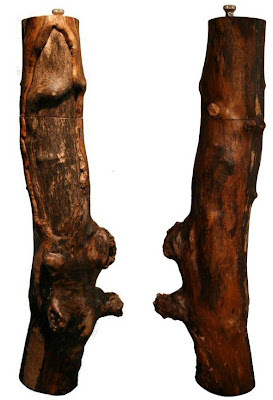 These are made from naturally fallen tree branches. 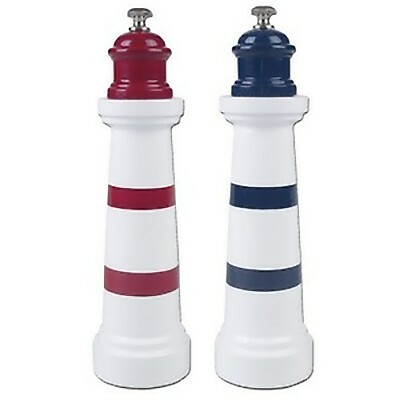 Lighthouse Salt & Pepper Mills: Cool looking lighthouse shaped pepper mills.